While I certainly appreciate an original or perfectly-restored motorcycle, I’m also okay with what have come to be known as “resto-mods” where the original spirit of the machine is kept intact, but electrical, suspension, braking, and sometimes wheels and tires are upgraded to more modern specification. Sometimes it works, sometimes it doesn’t. Sometimes the results look stunning, sometimes jarring. 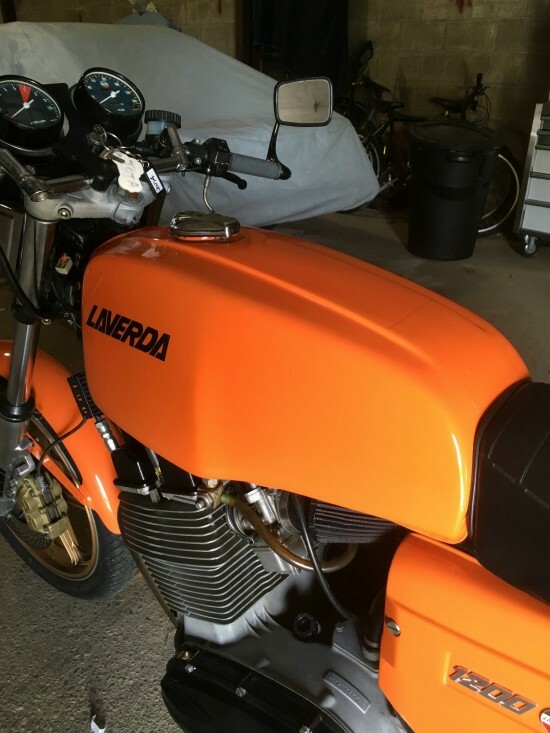 In the case of this Laverda 1200 America, I think it works really well. At the time, a 1200cc motorcycle was considered pretty huge, and the fact that it was in a sports motorcycle that loved to rev and corner made it the Panigale of its day. Capable of 12 second quarter-miles and nearly 140mph, this was a very fast bike back when it was new and is deserving of respect even now. 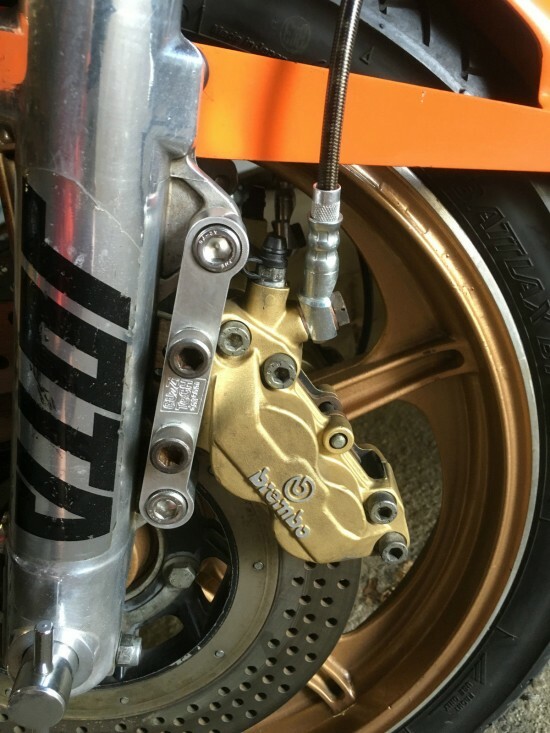 The 518lb wet weight sounds heavy in today’s world of 450lb literbikes, but it was comparable to the big Japanese four cylinders of the time. 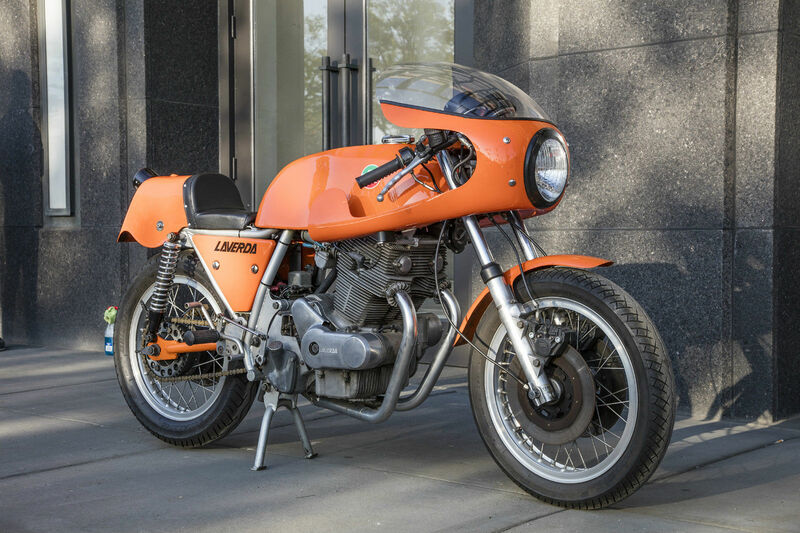 What wasn’t comparable was the bike’s brutal, uncompromising nature: Laverdas were high-effort machines, with extremely heavy controls and very stiff suspension. But the payoff was a distinctive three-cylinder howl, excellent handling, and famously rugged construction: the 24,000 miles on this example should be no big deal, provided it’s been maintained as described. Big Laverdas aren’t all-day comfortable, they’re bikes for tearing up back roads, then collapsing in an exhausted heap when you arrive home, tingling with the aftershocks of adrenaline. 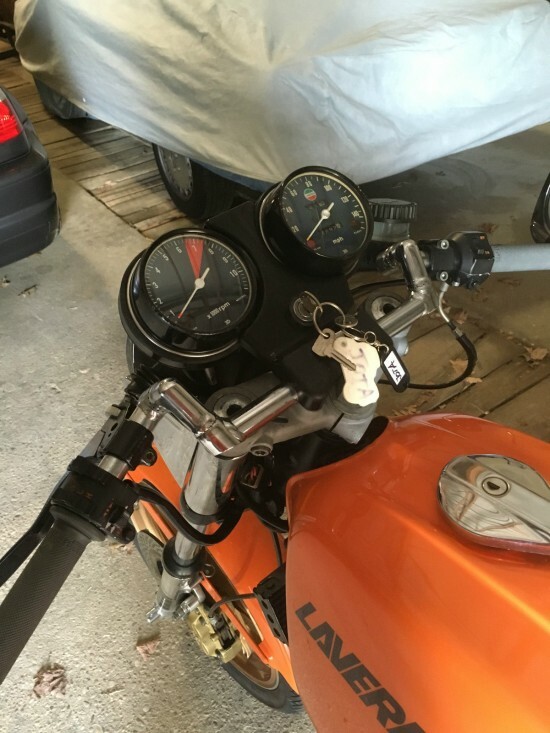 As with seemingly all Laverdas, the redline on the tach is deceiving: peak power actually occurs at the very top of the red band [7,500rpm], and the bike should obviously be safe for another 1,000rpm beyond that. Rare clean triple in very good condition. Build date 1977. Nothing major hidden, starts right away and runs strong. Clear Tennessee title, note the bike is located in NY, Long Island. I bought the bike from a collector for my Italian collection, due to change of plans I do downsize a bit. It comes with very special upgrades, better brakes, adjustable handlebar and pedals, see pictures. The front end and brakes suggest it may be a Lance Weil prepared bike, it has also the very lightweight exhaust no baffles, likely the original exhaust from England, light as a feather. The previous owner stated cold compression is within 2 lbs of 157psi. Rare 4C stamped cams and likely but not confirmed special pistons. He said this was the fastest of all Laverdas he owned. Very presentable rider, not a showbike but has the potential to be one. Not many more around and rarely seen for sale, great collectors bike. The seller refers to this as an “Americana” but as far as I know, it was just the “America.” If this were a genuine Jota, perhaps the mechanical and cosmetic changes would be sacrilege, but the 1200 America was a bit of a compromise anyway, a bike designed to meet new American emissions laws with lower compression offset by bigger pistons to restore lost power compared to the 1000. I’d appreciate a few more photos with some better lighting, but all-in-all, this bike pushes the right buttons for me. 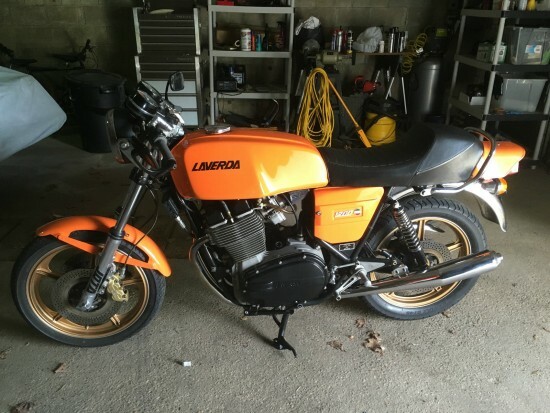 Should the engine and frame ID numbers match on a Laverda triple? Good question. Not sure. Honestly, I wouldn’t be surprised if this isn’t a numbers-matching machine. Assuming they’re supposed to match, that is. Something must be awry. I emailed the seller about matching ID numbers. No response. SurprisinglyOnly 1 bid on this bike thus far. 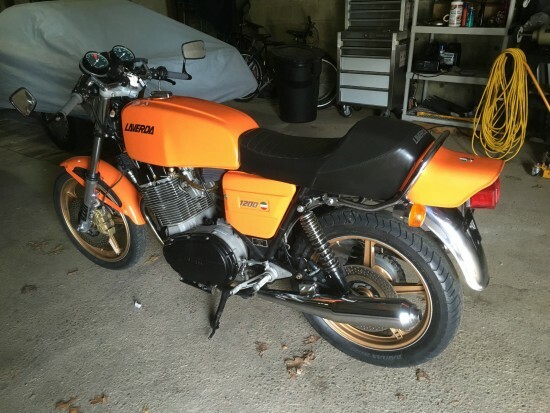 Maybe a Laverda triple expert can shed some light.